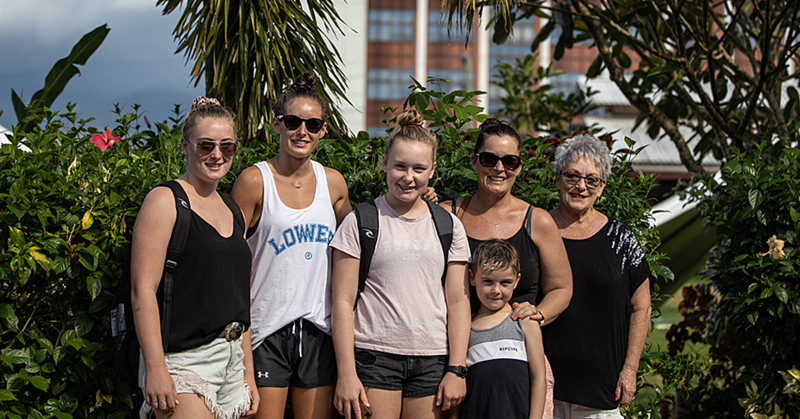 Island Rock’s early bird on Saturday was a full house. Hundreds lined up outside to be the first to buy. There were many products going at half price. 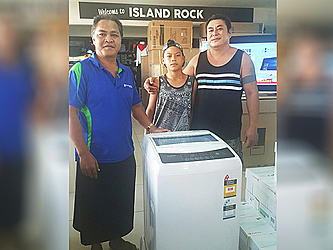 One gentleman let his son pick the dip and pulled the 100per cent discount to receive the Vogue 8kg Washing Machine worth $1299 free. It was like Christmas came early for Victor Ah Ping and his son Joseph. 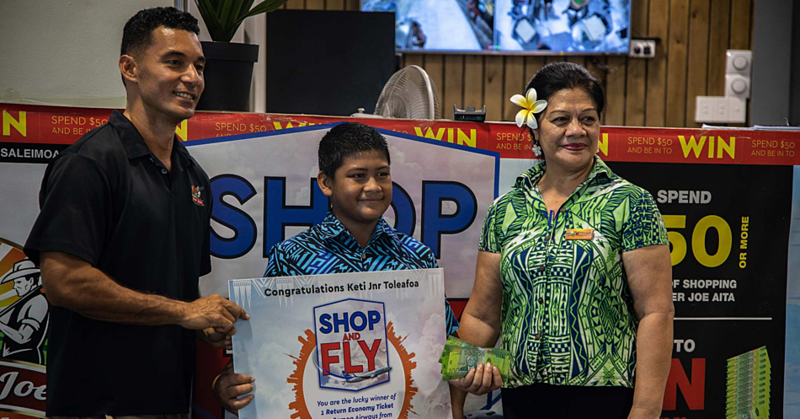 General Manager of Island Rock, Tuaopepe Asiata Wallwork, said Mr. Ah Ping was seen at the shop early that morning. “He was going to pull out of the draw but his son urged Mr. Ah Ping that they really need a dishwashing liquid so Mr. Ah Ping allowed his son to pull the lucky dip discount,” said Tuaopepe.